It’s Chinese New Year, and though I’m not of Chinese heritage, I grew up in Singapore where Chinese New Year celebrations were a big event every year. Granted, we also got a week’s holiday from school and usually weren’t in Singapore every year around that time, it still has a place in my heart. 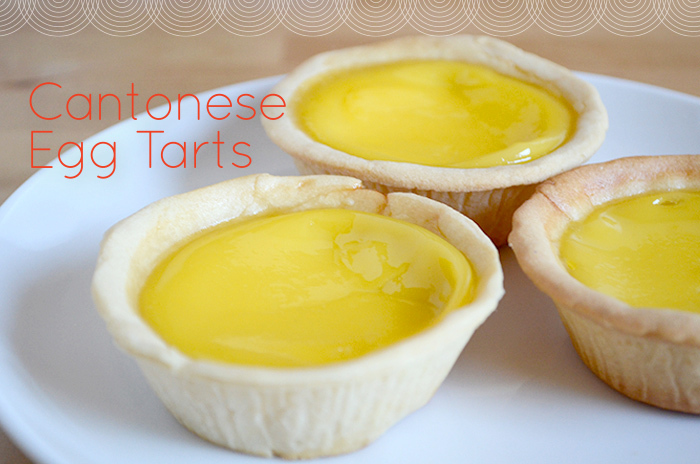 Although these egg tarts aren’t specifically a CNY treat, I wanted to spend some time making something to acknowledge Chinese New Year. This recipe is adapted from Christine’s Recipes and the process is very similar, other than the fact that I needed to make more of the custard mixture because my pastry was rolled out thinner, and I’ve reduced the amount of sugar in the pastry. 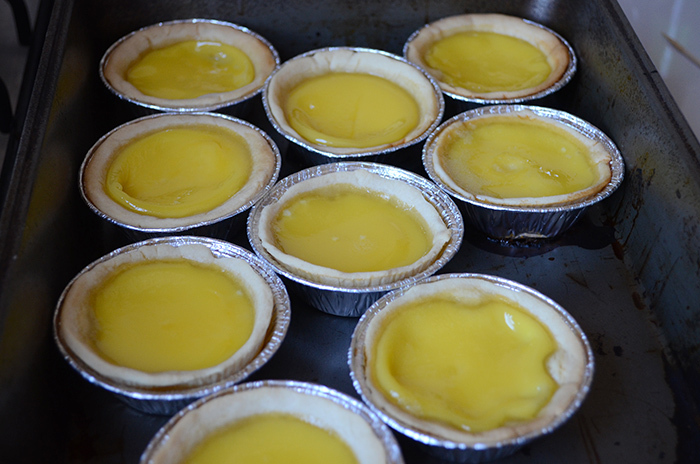 Yes you can buy egg tarts – but these are sure to go down a treat if you made them for a gathering. Preheat the oven to 200C/395F. Whip the butter and icing sugar until fluffy and smooth. 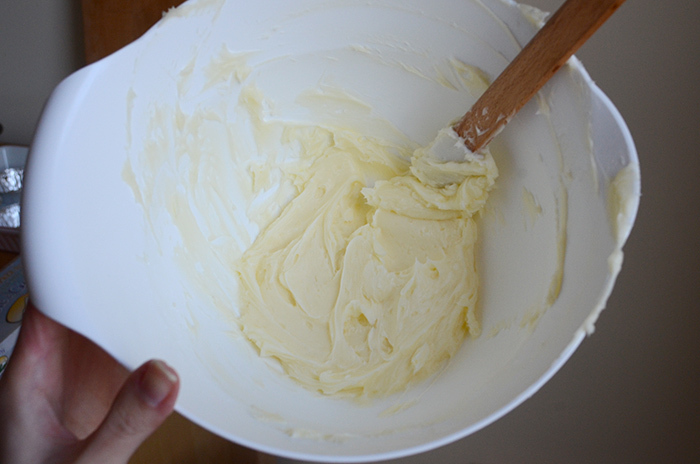 Beat an egg and add it to the mixture. Try to get it as smooth as possible, sometimes it’s difficult to incorporate the butter and egg. Sift the flour in two batches as you add it to the mixture. 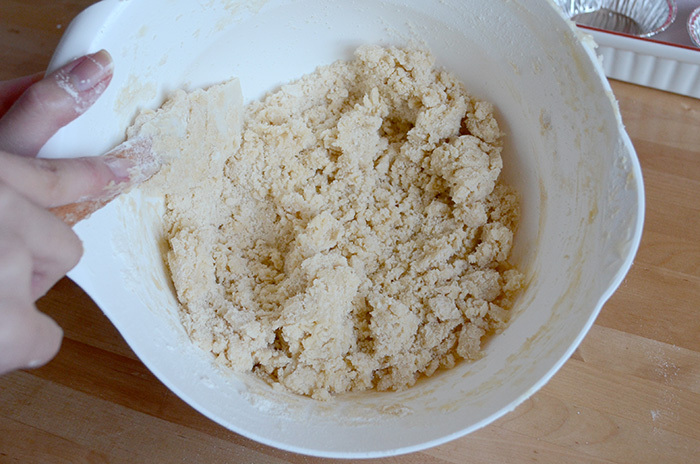 As long as flour is well incorporated to the mixture, it’s fine that the mixture is fairly crumbly. Put some flour down on the kitchen bench and knead until you have a nice, pliable dough. This is what my dough looked like. It should be soft and even, but try not to overwork it once it’s consolidated. 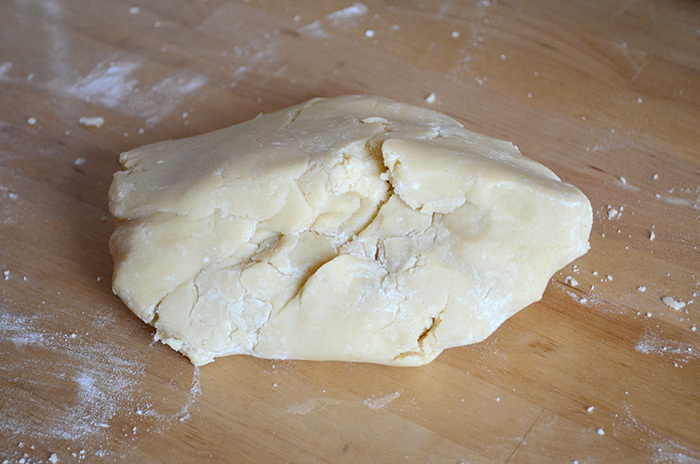 Roll the dough out with a rolling pin (or wine bottle) to approximately 4mm. 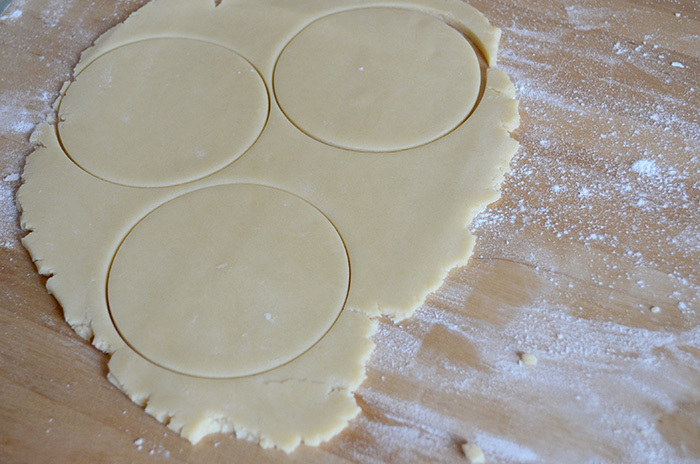 Using a cookie cutter slightly larger than the foil cups, cut out the sheets of dough into circles. Gently place the dough into each cup, making sure the dough is touching the bottom surface. Work your way around the sides, evening out any creases and gently pushing the edges up over the top. It’s important that there are no breaks or tears at this point, or the custard will spill out. 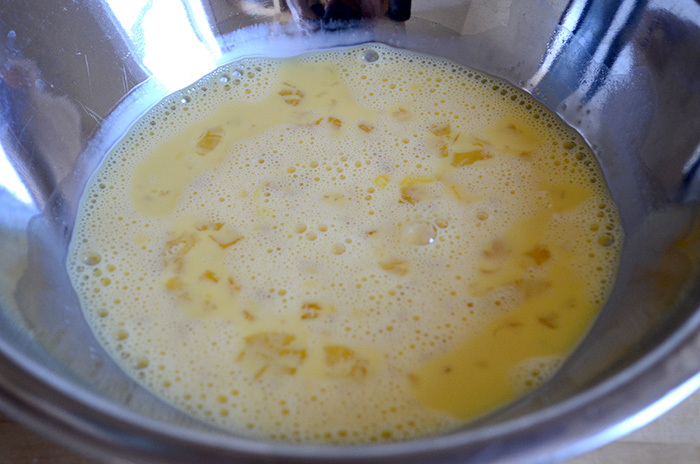 Start the custard by dissolving the caster sugar in hot water. The water doesn’t have to be boiling (about 80C) and let it cool to prevent cooking the egg mixture. Break four eggs into a large bowl, and mix with evaporated milk and vanilla extract. Add the sugar water to the bowl and mix well. Strain the egg mixture from the bowl into a pouring device (I used a measuring cup with a spout) to remove any egg white or curdled bits. 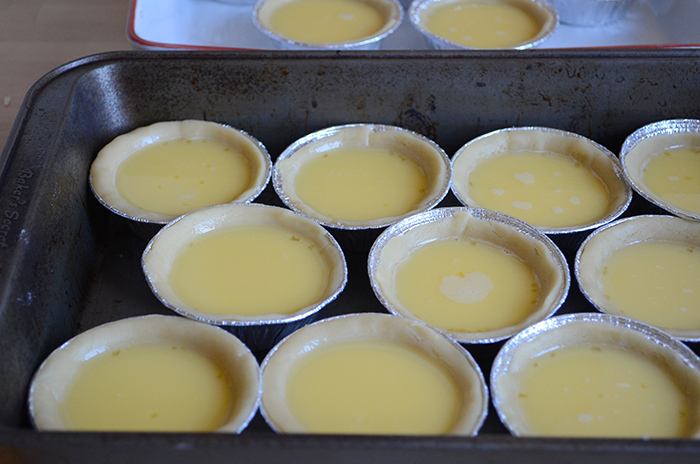 Fill them up about 1cm from the top as the custard later expands in the oven. 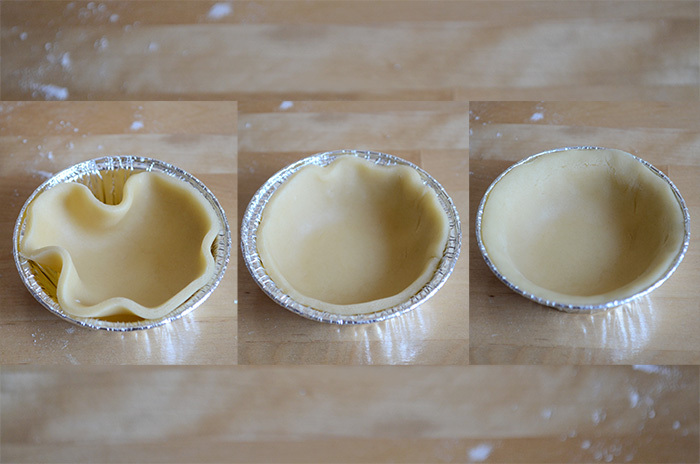 Bake the tarts in the oven at 200C/395F for 10–15 minutes until the crust browns slightly. At this point, turn the oven down to 180C and open the oven door slightly if the custard is starting to swell. This prevents them from cracking on the surface. Bake them with the door ajar for another 10–15 minutes until a toothpick can stand in the custard (you’ll be able to see a difference in the surfaces that are cooked and those that are not). 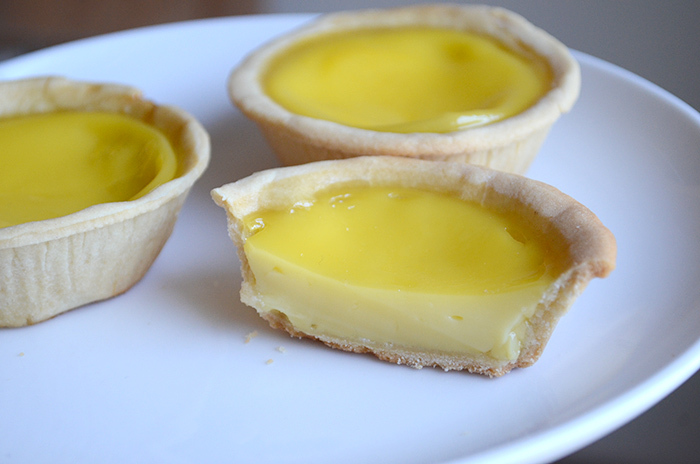 I loved how crumbly and thin the pastry was, and the custard was perfectly soft and set. I think these would give some dim sum restaurants a run for their money — thanks Christine!